Creating a professional painting proposal is a simple thing you can do, that will immediately set you apart from some of your competition. This is one of the easiest ways to win more business while putting in about the same amount of effort. And any time you can get more with the same amount of effort, means you are making more money per hour. Think of it as giving yourself a huge raise by implementing a few simple strategies. In this post, we are going to review how to put together a professional proposal, and how to present it to the customer so you can start winning more jobs by simply looking more professional to the customer. Before you can write a professional painting proposal, you are going to need to know what the customer wants. Don’t do a stock estimate. Actually find out what the customer’s wants and needs are so you can customize an estimate to them. 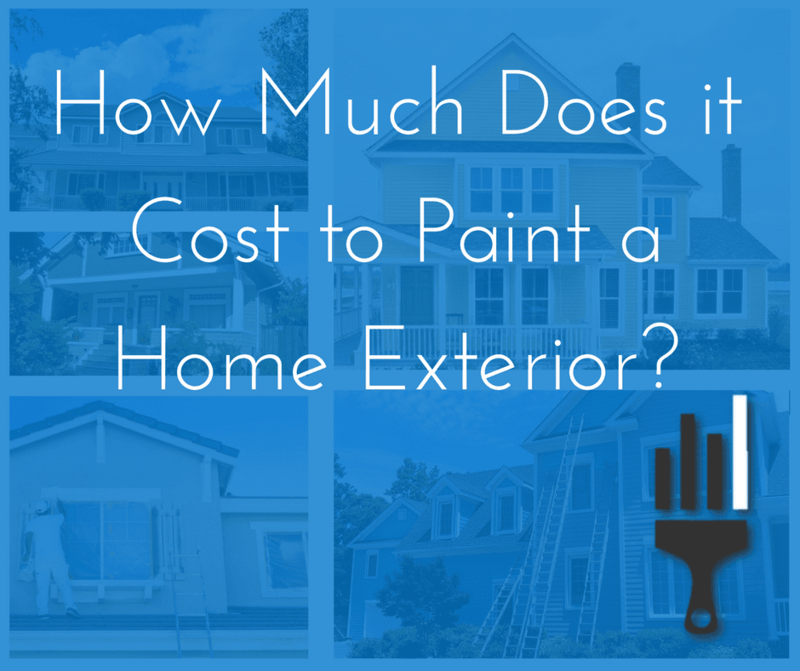 As a painting contractor, you know how much price can vary based on prep work, what is being painted, how many colors, how many coats, what type of paint is being used, and any other specific preferences the customer has. I cover more about the sales process in other articles and in my course. So back the proposal. 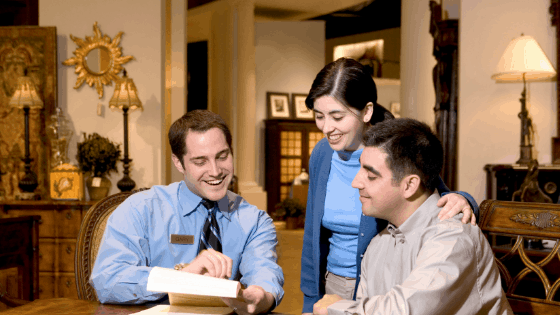 Let’s assume you have all of the customer’s preferences… what should go in your proposal? Your information and your company information. The customer’s information. Make sure to include their name, phone number, address, and EMAIL. This is going to come in handy later when you implement your marketing strategies to retain customers. What areas of the house are being painted? Be specific. What prep work is included? Be specific. What materials are being used? Be specific. Other considerations or expectations. For example, on our contract, we clarify that the estimate includes sticking with the same color scheme on the house, meaning whatever is body color, needs to be body color. Trim color stays a trim color. They can change those colors, but not add new trim accents onto the house, etc. If they do want to do that it costs more money. A notes section for other important notes and preferences for the job. A section where they can choose the option they want. This section should outline the deposit and balance amount, and have a place for customers to sign. 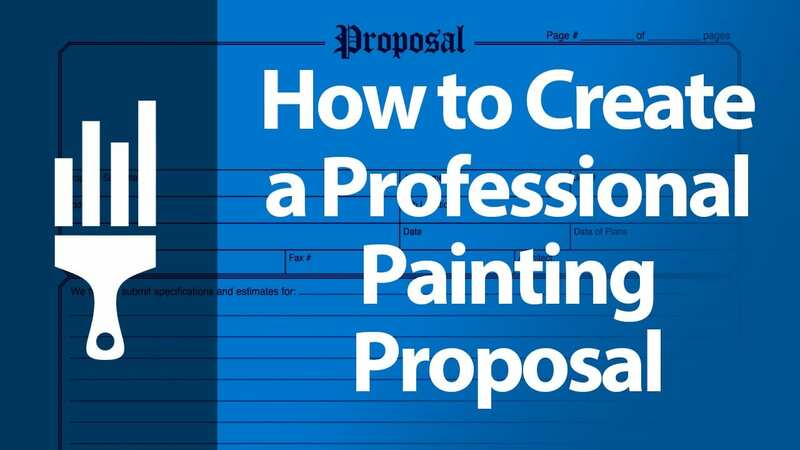 Professional painting proposals can be written or typed. 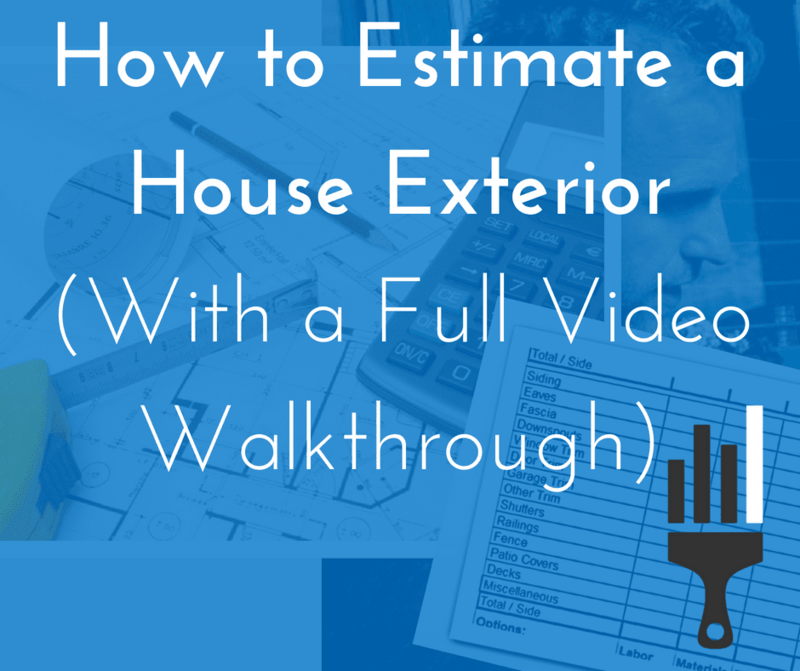 The downside to electronic proposals is you usually can’t deliver the estimate to the customer on the spot. And that’s the best way to win business. We just used Excel to create a basic contract with all of the above areas included. Do this one time, and then print a bunch of them. We print them on carbon copy NCRs so we get a copy and the customer gets a copy. Now you have your professional painting proposal written up. Time to go back inside and review it with the customer. Sit down. Put the contract in front of them and say, “Ok, so let me show you what I came up with”. It’s ok if their eyes go straight to the price, but you don’t start at the price. You go through the contract step-by-step. “This is the prep work we talked about… Scrape sand and prime peeling areas, like those spots on the north side we noticed. We are going to caulk all the cracks like I showed you around the windows and especially those big cracks above the garage…” and go through the prep work reminding them of everything you talked about. You are also demonstrating how detailed you are. Then they will say yes, or they will say something else – and how to deal with that is for another article and in my course. But using a professional painting proposal AND a detailed sales system, you will immediately demonstrate that you are more professional and more detailed than most of your competition. Detail and professionalism build trust. Trust is why people buy. We are not the lowest price, not even close! But we win a large percentage of our bids because people are most comfortable with us. In the Painting Business Pro course, I’ll walk you through each step of how to use the contract and give you a newly designed template for your very own professional painting proposal. Do you have something to add or a question? Share in the comments. Why Start a Painting Business? Awesome mentorship. This information was very helpful. Thank you Eric. But why did you not make the Proposal downloadable. You request for the email but you’re not yet willing to send any information to the mail and it’s not also available for download. I love your idea and I’d like to have the excel format as you described. You should have received an email to open the proposal and download it. Did you sign up and confirm your email and receive the email? If you had an issue downloading it, please contact me via email. I don’t check these comments often. Hi, how can i become a contractor in painting? What steps do i need to take, how do i start? Check out my articles on how to start your painting business from scratch. And if you are serious about pulling the trigger on this, I really recommend my course.